Get ready to ride. Discovery has announced the premiere date for their upcoming mini-series, Harley and The Davidsons. The network also announced three new actors have been cast: Gabe Luna, Alex Shaffer and Sean Scully. Harley and the Davidsons will follow Michiel Huisman, Robert Aramayo, and Bug Hall as the founders of famed motorcycle company Harley-Davidson. Stephen Rider, Jessica Camacho, and Daniel Coonan will also star. The three-part mini-series will premiere on September 5th on Discovery. (Los Angeles, Calif.) – Discovery Channel announced today that the first part of its highly-anticipated mini-series HARLEY AND THE DAVIDSONS will premiere on Monday, September 5. Consisting of three two-hour installments, parts two and three will air on Tuesday, September 6, and Wednesday, September 7. Discovery also announced three additional cast members. Actor Gabe Luna has been cast in the role of Eddie Hasha, nicknamed the “Texas Cyclone,” a notable American motorcycle racer. Luna has starred as the title role of El Rey Network’s “Matador.” He has also starred in ABC’s “Wicked City,” and was a recurring character in HBO’s “True Detective.” Luna has appeared in multiple films, including Richard Linklater’s “Bernie” and starred in “Transpecos,” which premiered at the 2016 SXSW Film Festival. Alex Shaffer has been cast as Shrimp Burns, one of the top dirt and board track motorcycle racers in the early 20th century. Shaffer has played a wide range of film roles with his feature film debut opposite Paul Giamatti in “Win Win,” which premiered at both Sundance and SXSW Film Festivals. He has also starred in “The Lifeguard” opposite Kristen Bell and was in the 2015 film “We Are Your Friends” featuring Zac Efron. Playing the role of Walt, Jr. is Sean Scully who has appeared in several TV and film projects. These actors join a cast that includes Michiel Huisman (“Game of Thrones”), Robert Aramayo (“Game of Thrones”), Bug Hall (“The Little Rascals”) and Stephen Rider (“Daredevil”), Jessica Camacho (“Sleepy Hollow”), Daniel Coonan (“EastEnders”), Annie Read (“Awkward”) and Essa O’Shea. What do you think? Are you a fan of the motorcycle brand? Will you watch the mini-series? 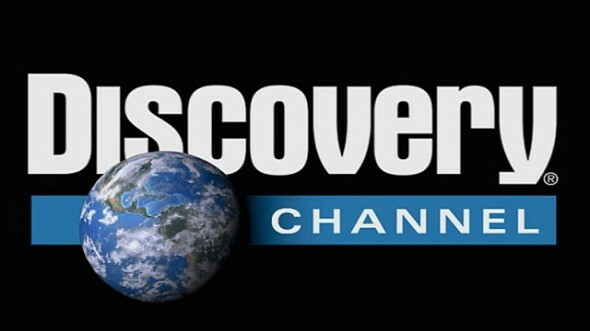 More about: Discovery Channel TV shows: canceled or renewed?, Harley and the Davidsons, Harley and the Davidsons: canceled or renewed? Looking forward to seeing this ! So very disappointed to see that such a wonderful story and expensive production has been taken off the air. Amazing when the network censors what I can watch in this day and age. A religious story at that!! So many other programs prosper with as much or more graphic content. Such a shame!! !